I made a computer generated artwork based on the theme of time, which I am projection-mapping on a physical triangular piece alongside other members of my group. My goal is to get the viewer's attention for atleast 2 minutes and make them feel certain emotions. My work is composed of 3 different computer generated scenes based on the theme of time. Scenes are represented by clocks, the solar system, and a hypnotizing circle. By observing my artwork I hope that people will get a glimpse of my current mindset, which has increasingly changed throughout the last few years. The scenes are inspired by my currrent lifestyle. Since I began studying I increasingly felt more pressured and focused on being productive every single day. Right now, I always see time as being equal to money and I have even abandoned some of the main hobbies that I previously enjoyed. This term even more so, I chose to work on 5 modules at the same time, spend time every single day at the gym, and recently I'm also a lot into cryptocurrencies. I'm feeling overwhelmed because I don't have the time to do everything that I love. Most of the ideas come from my imagination and from the classes thought in class by Theo Papatheodorou (1) (2) (3) (4). 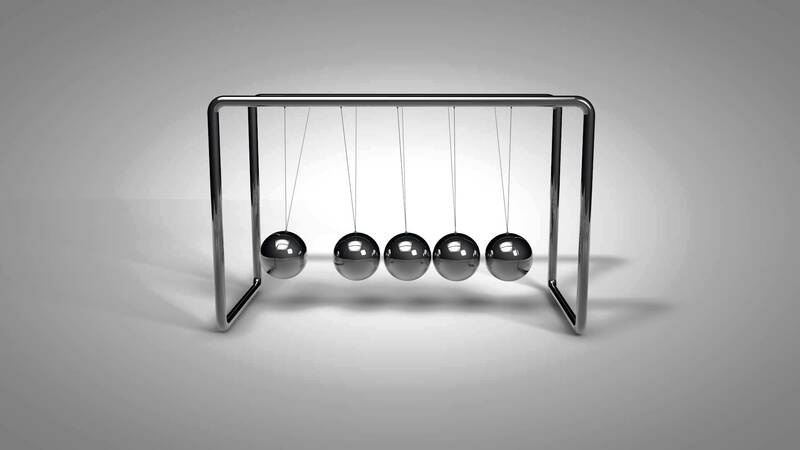 As for the third scene, I got the idea from Newton's cradle (5). I also got inspired by the idle animations (6) from a recent game called Cuphead, the stationary objects in my work are constantly in motion and look alive just like in Cuphead. I am of course using the open source C++ framework called OpenFrameworks for making computer generated art and I'm using a projector to map the visuals on a real-world object. Techniques that I implemented include: rotation, scale, translation, if-statements, vectors, loops, custom classes, noise, sin function, custom functions, and others. The reason I use so many is because I want to give the viewer the impression that everything can be so overwhelming. The main challenge I had to overcome was making and using my own class, which is about a clock. The reason I had to do this is because I wanted to make a 2D array made out of these objects. An other big challenge was to build the whole scenes: making individual parts was fine even though it was time consuming, but bringing everything together required me to stay organised and make lots of custom functions. I would improve the hypnotizing scene, I lacked a bit of inspiration on this one and it feels a bit empty. I would make the transitions between each scene less clear so that you get the impression that all scenes fit together, it would be nice to see like a fade-in/fade-out type of transition for instance. In my opinion, the theme of the general artwork is pretty clear. I also believe that it can get the attention of the people for atleast 2 minutes because there are enough transitions and other things happening. I pretty much exactly developped the ideas I had in my imagination only by using my own code, so I'm very happy with that. If I had more time I would probably search for more inspiration to come up with something even more unique, and I would have probably focused a lot more on reverse engineering rather than coming up with my own ideas. Also, I couldn't really come up with interesting ideas that would really make good use of the real-world geometric shape we are using, so I had more hopes on that. Something else that I can improve is refactoring my code and putting more comments to have a better overview. Even though i'm using a lot of custom functions and even a custom class, it's still messy in some places and too tighly coupled. I never felt lost but if I would develop further than this I might face some problems. This is something easy to do for me, the problem is really because of the time constraints of this project. This project was very teachful as I revisted a lot of the previous exercises and understood things I previously did not. I achieved more than I thought I would because I learned a lot of useful techniques that I will also use for future game-development, which has always been my main focus in this module, and my general study.